Just 17 percent believe their taxes will go down as a result of the plan Trump signed at the end of 2017. WASHINGTON — A slight majority of Americans say that their taxes will stay the same or go up as a result of President Donald Trump’s tax reform plan, according to newly released data from NBC News and the Wall Street Journal. Roughly equal shares say that they think their taxes will go up (28 percent) or stay about the same (27 percent), while fewer Americans — just 17 percent — believe their taxes will go down as a result of the plan Trump signed at the end of 2017. An additional 28 percent say they’re unsure. Republicans are more likely than their Democratic and independent counterparts to say that the legislation will reduce their taxes. A third — 33 percent — of Republicans say they think they will pay less in taxes, while 11 percent say they think their taxes will go up and 34 percent say they expect their tax bill to stay the same. Forty-four percent of Democrats, on the other hand, say they expect to pay more, compared 23 percent who expect to pay the same and seven percent who say they will pay less. Trump pitched the plan as much-needed relief for middle-class families, while Democrats derided it as a gift to the very wealthy. There are few differences between various income groups, however, in how they think the plan will affect their taxes. Thirty percent of upper income Americans, 26 percent of middle class Americans and 28 percent of those who are poor or working class believe they’ll pay more. Those shifts are all within the margin of error for those groups. Similarly, 27 percent of upper income Americans, 29 percent of middle class Americans and 26 percent of the poor or working class say their taxes will stay the same. The wealthy are the most likely to say that they will pay less. 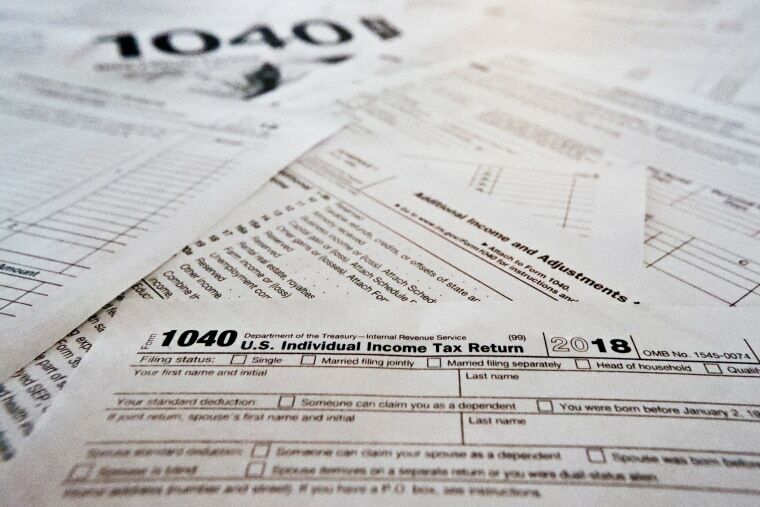 A quarter of upper income Americans say they expect their taxes to be lower, compared with 19 percent of middle class Americans and just 11 percent of the lowest income group. The poll was conducted March 23-27, 2019. The margin of error for all adults is +/- 3.1 percent.